RAYLASE AG extends its line of 3-axis subsystems with the AXIALSCAN-12. The AXIALSCAN-12 is extremely compact and allows for simultaneous dynamic focus adjustment at speeds of up to 30 m/s. This enables materials processing at high speeds even on uneven 3D-shapes. The new 3-axis subsystem concept comprising the patented, compact double-motor-Z-axis allows for extremely fast and precise processing of a variety of materials in different shapes and sizes with very small spot diameters and in state-of-the-art quality. Speeds up to 30 m/s, its patented dynamic focus adjustment and compact size enable the AXIALSCAN-12 to be used in numerous sophisticated applications which require flexible working areas and very small focus diameters with focus diameter and range variations in the working area. The new AXIALSCAN-12 is especially precise, fast and reliable when processing 3D-shapes such as tilted or curved surfaces. With this innovative and efficient product RAYLASE is setting new performance standards. The new AXIALSCAN-12 by RAYLASE offers an additional highlight: the new twin-shell design, which has already successfully been used in the standard XY-units of the SUPERSCAN-II series. Negative thermal effects caused by ambient temperature or processing conditions can be drastically reduced. This results in very low drift values and thus highest precision in processing and long-term stability. AXIALSCAN-12 is designed for a wavelength of 1.064 nm, a maximum laser power density of 500 W/cm2 and field sizes up to 300 mm x 300 mm. Other wavelengths and parameters are available on demand. This flexible subsystem by RAYLASE is compatible to the XY2-100 standard and can easily be combined with e.g. fiber lasers. RAYLASE AG develops and manufactures high-precision components and sub-systems for the deflection, modulation and control of laser beam for laser systems from a few milliwatts up to several kilowatts. The company, which has its headquarters in Wessling, near Munich, and is certified to DIN EN ISO 9001:2008, offers close consultancy work and customized products which are developed and optimized in cooperation with clients and their customers. A global network of distributors and representatives support the company's international sales operation. The in-house applications laboratory provides for in-depth testing of the company's own new developments, as well as for laser materials processing testing conducted in collaboration with clients. The products are particularly suitable for: Material processing such as marking, engraving, perforating, cutting, welding, rapid tooling, structuring, processing on the fly and 3D-applications. 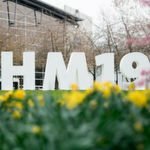 The revolutionary advance of PCD (Power Control Device), which makes it possible to dose the power of CO2 lasers, is opening up new and ground-breaking possibilities in terms of applications for many companies in the printing, packaging, electronics and automotive industries. 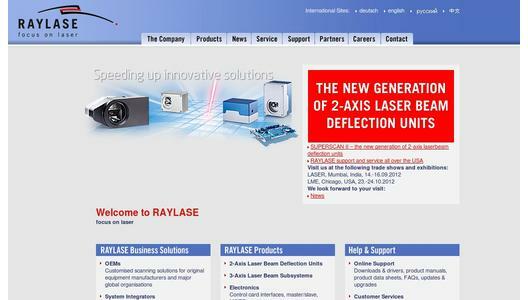 Leading global laser system manufacturers and integrators are successfully using RAYLASE products, and are won over by the quality, reliability and flexibility of these products every bit as much as by the competence and expertise of RAYLASE AG as a company.